Sun. #2 is HERE. To help the website out please subscribe to Mistah MegaManFan so we can reach 1,000 (current count: 848). If you're a gamer you'll enjoy the content! Don't miss WrestleMania 35 coverage from yesterday and Raw highlight videos tonight! With the cheap plugs out of the way here's Monday's latest news. 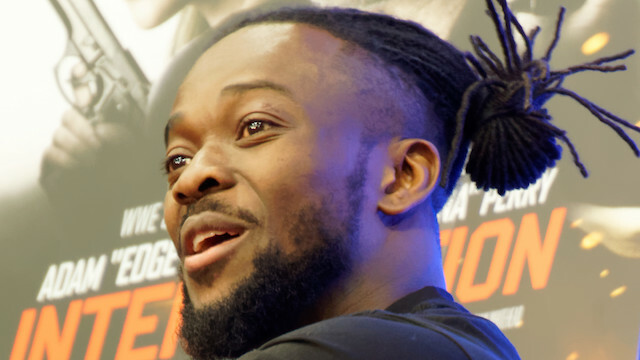 Kofi Kingston defeated Daniel Bryan to become the NEW WWE Champion last night at WrestleMania 35. Afterward The New Day presented him with the old WWE championship that Daniel Bryan had thrown away along with brand new t-shirts that read THERE'S A NEW CHAMP, YES THERE IS. The shirt accidentally (or purposefully) leaked before the world title match was over. Don't feel too bad for The Revival -- Dash Wilder got to knock out Bret Hart's assailant and take a picture with 'The Hitman' afterwards. Not a bad weekend all in all. New WWE related videos including WrestleMania 35 highlights are below. If there are more WrestleMania highlights we'll have to post them tomorrow as it's almost 1 AM ET. Oh and in case you're wondering where he was yesterday, here's Undertaker chilling with Teddy Long somewhere NOT WrestleMania. Holla, holla, holla. The Mae Young Classic is coming back soon. Also from social media - Hiroyoshi Tenzan is undergoing emergency surgery for unknown reasons. Godspeed Mr. Tenzan - here's hoping for a quick recovery. Owing to the amount of wrestling news stories tonight we are going to do bullet points and short descriptions once again for a slew of items. * http://twitter.com/WrestlingInc/status/1114977234866057218 - Jay White talks about his loss at the G1 Supercard. * http://www.wrestlinginc.com/news/2019/04/news-on-elias-and-dx-wrestlemania-entrances-652859/ - Selected fans got special LED bracelets to wear during Elias' WrestleMania entrance. * http://twitter.com/AKonWrestling/status/1115038553086529536 - Bright yellow lights blinded some of the fans at MetLife Stadium.